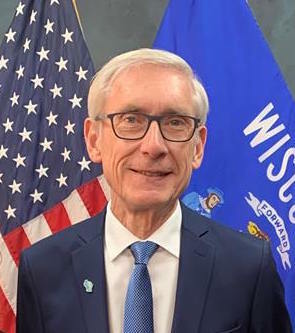 On Monday, January 7, Wisconsin Governor Tony Evers and members of the Wisconsin State Legislature were inaugurated into their state government positions. The date signaled a significant shift in Wisconsin’s political climate. From 2011 through 2018, state government was under the complete Republican control. Wisconsinites now have a Democrat in the governor’s office and a divided government. In November, Evers defeated Republican incumbent Scott Walker; a victory that surprised many political spectators. His campaign primarily centered on funding for public education and the rising costs of healthcare. Evers is sure to make both issues primary tenants of his budget bill, which will be introduced early this year. While his speech mentioned education, healthcare, and transportation, the address largely spoke to his desire to bring unity to Wisconsin politics and political discourse. “Finally, [hard work] begins in these marble halls where, as elected officials, we are reminded that our obligation and our allegiance are to the people of this state, not any political leader or party. That is the promise and the spirit of our service. May we dare to transcend divisiveness and party line,” Evers told the inauguration attendees. Evers inauguration ushers in a new era, but significant aspects of the Walker years remain in place. Specifically, the legislature is still controlled by Republicans, and its longtime leaders, Assembly Speaker Robin Vos and Senate Majority Leader Scott Fitzgerald, are still the heads of their chambers. In their addresses, both Vos and Fitzgerald stated their desire for unity and bipartisanship during the two-year legislative session. “Let us be united by our shared vision to make Wisconsin a better place to live, work, and raise a family,” Fitzgerald said. However, Vos stated his intent to ensure the legislature is on equal footing with the new governor. “There are some who will want us to take a backseat and allow the new governor to drive the car alone but that isn’t going to happen,” Vos told the Assembly. Evers, Vos, and Fitzgerald are making good faith attempts to make good on their hopes for unity. On Tuesday, January 15, Evers will attend with a rare joint meeting of the Assembly and Senate Republican Caucuses to discuss areas of agreement with every Republican member of the legislature. The next two years are sure to be interesting and unpredictable as Wisconsin’s government and citizens attempt to navigate divided government.